P.C. Chacko member of parliament profile and biography is given here. P.C. 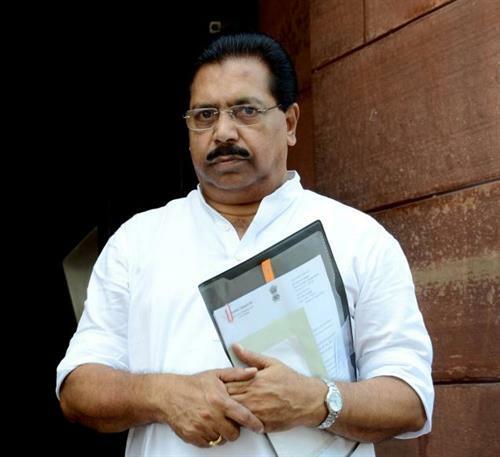 Chacko is a senior Congress leader representing Trichur constituency in the Parliament. He has a long political career to bank on. He started his political career as a student leader and participated in various movements at that point in time. Through his active participation in Kerala Students Union, he was noticed by the think tank of the Congress party and given an opportunity to work in its youth wing. P. C. Chacko is a veteran Congress leader who represents Trichur Lokh Sabha constituency in the parliament. Currently, he is the Chairman Joint Parliamentary Committee (JPC). This committee is probing into the alleged irregularities in the grant of 2G spectrum and telecom licenses to telecom companies from 1998 to 2009. He is also the official spokesperson of All India Congress Committee (AICC). Apart from this, he was also a member of other committees in the Lokh Sabha that looked after the security of the Parliament complex, Energy, Science, Engineering and Technology to name a few. P. C. Chacko was born into a Christian family on September 29, 1946. His parents were Sri. John Chacko and Smt. Leyamma. His birthplace is Kanjirapally village in Kottayam district of central Kerala. Since he was born into a family that was busy with farming activity, he has been interested in agricultural activities since his childhood. He was initiated into the world of learning by his parents at the local church. He had his formal education in a school run by the local church. Later, he was enrolled in a government school so that he could continue his education up to the tenth standard. As a child, he was very serious about his studies. In between, he found time to participate in school-level political activities. Despite his political activities, he never compromised on his studies. Due to this quality, he could come successful in his SSLC examinations. After passing the secondary school exams, he joined a local junior college to continue his studies. During this period also he was actively involved in college politics. In those days, he was noted for his leadership skills and the ability to organize successfully various events. In spite of his busy schedule in extra-curricular activities, he found enough time to concentrate on his studies. Hence, he did well in his intermediate course as well. Until his intermediate education, he was not that serious about his career in politics. After successfully completing his intermediate education, P.C. Chacko joined a degree course at Mar Ivanios College at Nalanchira in the capital city of Kerala. Later, he shifted to University College to complete his degree course, as the Mar Ivanios College authorities were strict about student political activities in the college premises. He did well in his studies at degree level and came successful in the end. Despite his busy academic schedule, he continued to participate in various political activities as a Kerala Students Union (India) (KSUI) member. During his degree years, his activities as an organizer of events, oratory and ability to move the audience were noticed by the state leaders of the Congress. Much later in his political career, he did a master's degree in public administration from Madurai Kamaraj University. His technical qualification in public administration held him in good stead when he became a member of various parliamentary committees. Using his skills, he could give suggestions and gather important information to supplement the requirements of the committees in which he was an active member. P.C. Chacko is married to Leela Chacko. Their marriage date was May 10, 1979. In their marriage, they have two sons. His family is permanently settled in Cochin. P. C. Chacko joined Mar Ivanios College for taking up a degree course in Geology specialty. Since he was actively participating in student-level political activities, he had to get himself transferred to the University College to complete his studies. At the Mar Ivanios College, there was a restriction on the level of political activity allowed for the students. The college took this step to make the students concentrate on their studies and avoid the disruptions in academic activities in its premises. During his degree college years, P.C. Chacko came to active politics through the Kerala Students Union (India) (KSUI), a students' wing of the Congress party. While working with KSUI, he gained required experience at the grass root level to climb through the rank and file of KSUI. His organizational skills and ability to woo the audience were noticed by the state congress leaders and lifted him to the level of youth congress. Within the Indian Youth Congress, he had held important positions such as that of State President. In 1980, P.C. Chacko was elected to the state assembly from the Piravam assembly constituency. In the same year, he became a minister in E.K. Nayanar government. In this government, he held the portfolio of Industries and brought some landmark reforms in the industrial sector of the state. During his tenure in the parliament as its active member, he had been nominated as a member of many committees. In each committee, he had given significant contribution by coordinating with various government agencies and departments. Invariably, he contributed and compiled the required information to do the proper analysis. By coordinating with his colleagues, he extracted the required data to formulate the report. Due to this reason, he featured in a large number of committees. Moreover, he was able to get the trust and faith of the Congress high command through his dedicated work for years. Due to this, he was given a Congress ticket to contest general elections from Trichur Lokh Sabha constituency four times. On all three occasions, he was successfully elected to the Lokh Sabha with good victory margins. Of late, he was made the official spokesperson of Indian National Congress, which is a recognition of his experience in dealing with the media. P.C. Chacko was first appointed in a parliamentary committee in the year 1991. At that point in time, he became a prominent member of the committee that probed into the security scam that rocked the stock exchange and the shared market of the country. After his re-election to the Lokh Sabha, he was again appointed as a member in committees that looked after Transport and Tourism, Power, Lokh Sabha secretariat, Estimates of the government and Finance. He was made the executive member of the Congress Parliamentary Committee, and member of the Panel of Chairmen twice, and Committees on Energy and Security in Parliamentary Complex. He was also a member of standing committees on Science, Engineering, Technology, Environment and Forest, Privileges, and a joint committee on multiple posts occupied by political leaders. When the government and the party were in crisis, P.C. Chacko was appointed as the chairman of the Joint Parliamentary Committee (JPC) that probed into the 2G scam. The 2G scam broke out when the government rolled out the telecom license to certain companies, against the standard procedure of calling for the auction of licenses. In this scam, a member of the Congress ally DMK was alleged to have been received kickbacks for favoring certain telecom companies. One of the companies that received the license was owned by a prominent member of this ally. An important arm of the government, Comptroller and Auditor General of India (CAG), came out with a publication that said this license distribution had cost a huge loss to the government, as per the existing market price for the license at that point in time. During his college days, P.C. Chacko was the Secretary of University College Arts Club. As an active member secretary, he tried to conduct different cultural events on various occasions and brought prominent artists, leaders and other media personalities to the college. In places such as Chalakudi and Trichur, he organized many state-level sports meets and inter-school, CBSE-level games to promote the sporting activities amongst the youths of the region. He also organized social work camps and charity works for the youth to raise the awareness about the needs of the society. Being a sports enthusiast, he actively participated in Badminton competitions in his school days. During his leisure time, P.C. Chacko loves to be in agricultural fields to do some farming activity. He also devoted time to visit new places to meet people and update his knowledge base. Since his childhood, he has been interested in reading books. P.C. Chacko is a seasoned politician from the state of Kerala. He rose to the top of the congress party by working at the grass root level. He started his political campaign when he was the student. Initially, he horned up his political skills while working with the students' wing of the congress, Kerala Students Union (KSU). Through his dedicated work, he earned the attention of the youth leaders in the Congress party. As a result of this, he was inducted into the youth wing of the state Congress. He continued his good work at that level also. After that, he was elevated to the state Congress Committee as an active member. He was initially elected to the state legislative assembly. Due to his good work, he was made a minister in an E.K. Nayanar ministry that came into power with the Congress support. After spending some time at the state level, he slowly moved to the national level, when he was selected to the Lokh Sabha. As he has proven his leadership and interpersonal skills, he was made a member of a number of committees that looked into various issues that plagued the nation, parliament and the party. M.B Rajesh Kerala member of Parliament profile and biography is given here. M.B. Rajesh is an upcoming politician from the state of Kerala. He is a seasoned politician who has come to the top through his long-term associations with various issues that affect the state. After becoming the Member of Parliament representing Ottapalam constituency, he has undertaken a lot of development activities there. This article speaks about the life and work, as well as the report card of this great personality. Shashi Tharoor Kerala member of Parliament (MP)profile and biography is given here. Dr. Shashi Tharoor is an upcoming star in the political landscape of the country. He is more known for his literary works, oratory skills and extempore remarks that he makes every now and then. He is a popular figure for his good looks, knowledge and good mannerisms amongst the youths across the globe. After proving his credentials as a good diplomat, he successfully forayed into the politics of the country. Prof. K.V. Thomas Kerala member of parliament profile and biography is given here. Professor K.V. Thomas is a seasoned politician from the state of Kerala. He hails from the financial capital of Kerala. Before foraying into the public life, he had carved his niche in the field of education as a reputed teacher. Hence, he has a huge student following. This article walks you through the life and works of this great figure. K.C. Venugopal member of parliament (MP) Kerala profile and biography is given here. Shri. K.C. Venugopal is a seasoned politician from the state of Kerala. He has represented Alappuzha constituency in both Kerala Legislative Assembly and the Parliament. Currently, he is the Minister of State in charge of the Civil Aviation. He was also a Minister in Oommen Chandy state cabinet from 2004 to 2006. Kodikunnil Suresh Kerala MP(Member of Parliament) profile and biography is given here. Kodikunnil Suresh is a seasoned politician from the state of Kerala. He is also a Trade Unionist and a Social Worker. He came to the party central body at the state and national level by participating in various political movements. He plunged into the state politics when he was a school-going student. Through his hard work and dedication, he was able to get into the good books of the senior members of the party. As per the latest news P.C.Chacko is to become the candidate of Chalakkudi Lok sabha constituency. The sitting M.P. of Chalakkudi, Mr.Dhanapalan, is shifting to Thrissur,where P.C.Chako is the sitting MP. By the by I have a doubt regarding the college where PC Chacko did her graduation. Is it not the University College of Trivandrum? I used to see him in the University Hostel, where students from University college and University departments were staying, at Palayam during those days (I was an inmate of that Hostel during those days, as PG student).